MNA – Iranian President Hassan Rouhani said US President Donald Trump has failed in its intended goals for the fate of the 2015 nuclear deal, followed by his other failures in the UNSC and UNGA sessions. 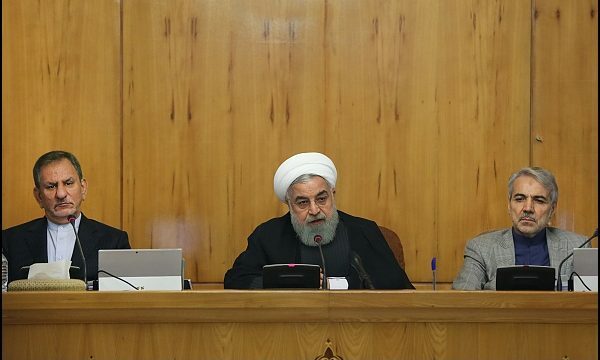 Speaking in a meeting with social science scholars and researchers on Tuesday, President Hassan Rouhani called for bridging the gap between the reality and people’s interpretations of that reality in a bid to increase hope in society. “Today, more than any other time, we need to increase social capital through boosting public trust, because the decline of social capital can be the greatest challenge to the society, which itself originates from the decline of trust,” said the president. “We acknowledge the independence of universities and their scientific and research reviews,” he added. The president then voiced confidence for the positive future of the country, advising against attempts at painting a bleak picture of the future for the people.